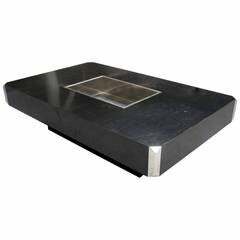 Willy Rizzo signed coffee table or cocktail table. 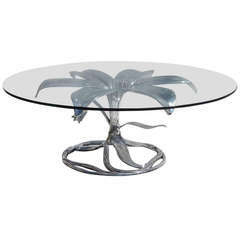 This fantastic design was introduced in 1970 by Mario Sabot of Italy. 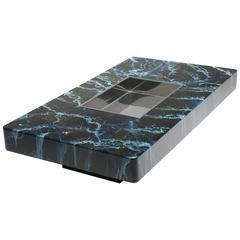 Designer Willy Rizzo created a number of designs for the company, but this stands out as the most unique. 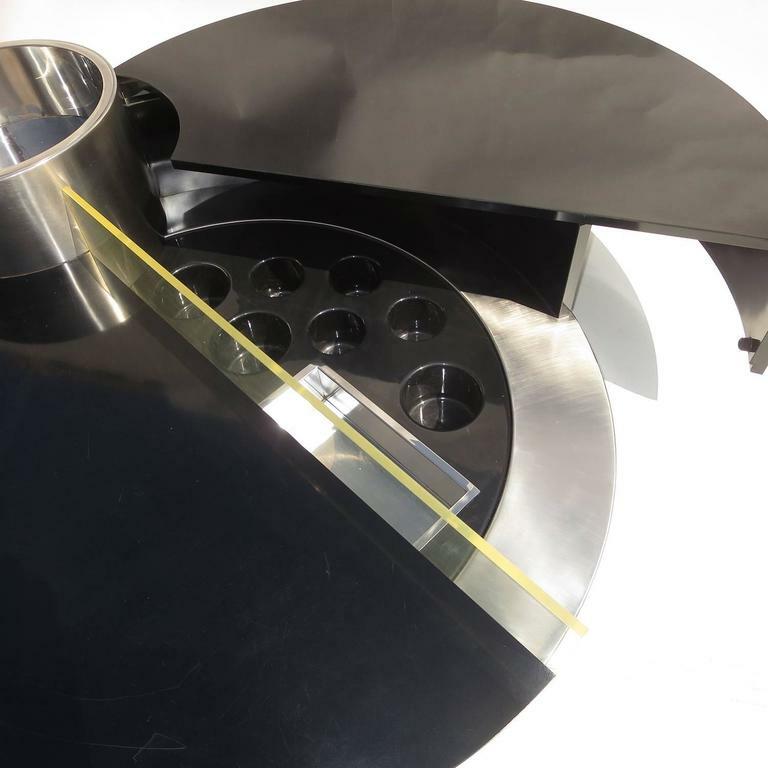 The circular table is wrapped in brushed stainless steel, with black laminate tops. A dividing wall of smoked Lucite allows a light to glow out, illuminating the bar area when open or closed. 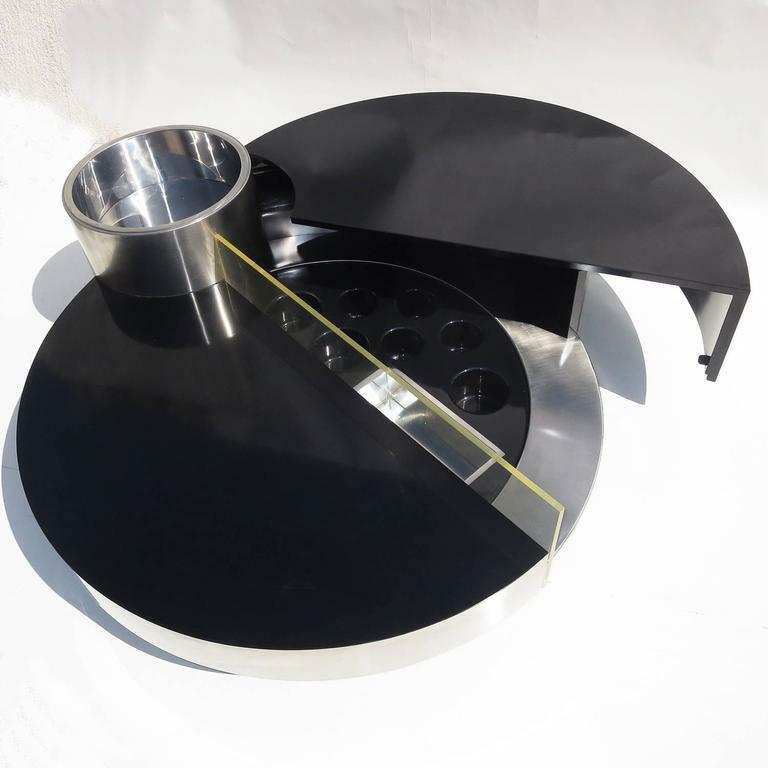 With a simple motion, the upper surface swings out to reveal the bar compartment. This area includes openings for bottles, and a stainless ice bucket. 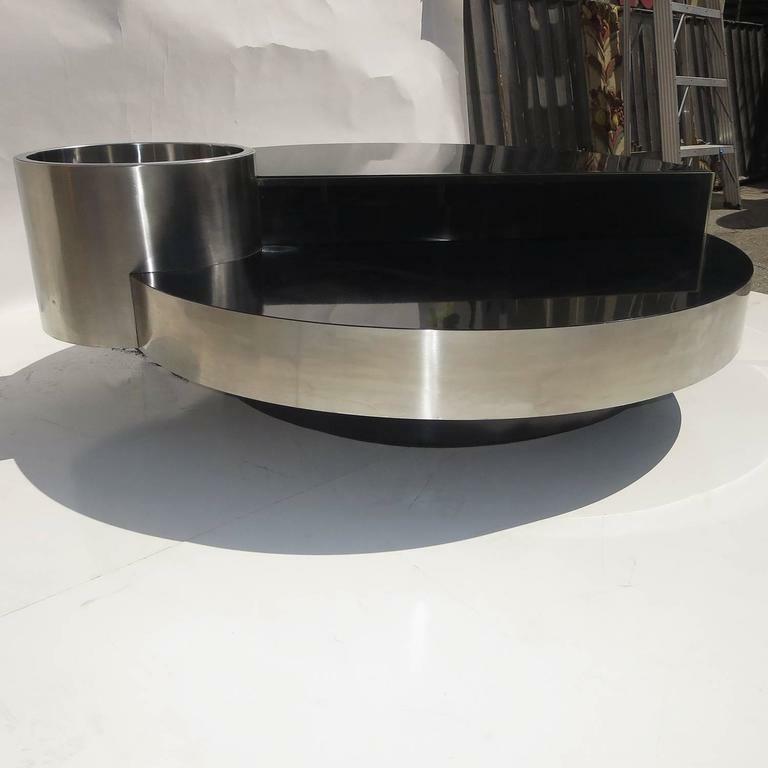 There is also a larger stainless cylinder for wine or champagne chilling, magazine storage or for plants. The table plugs into a standard socket for the light. Everything is original, and it displays very well. 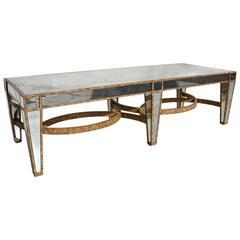 This impressive table is made of multiple panels of aged mirror, set into a painted wood table. The overall condition is quite nice, with natural intended aging. 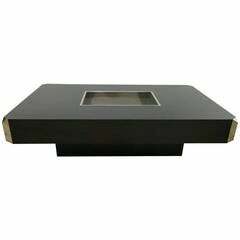 Coffee table in laminated black formica, chome tray and corners, Alveo model. Producer: Mario Sabot. 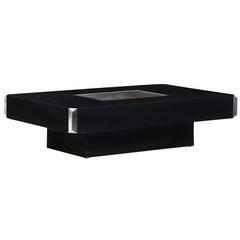 Rectangular black coffee table in laminated black "formica". 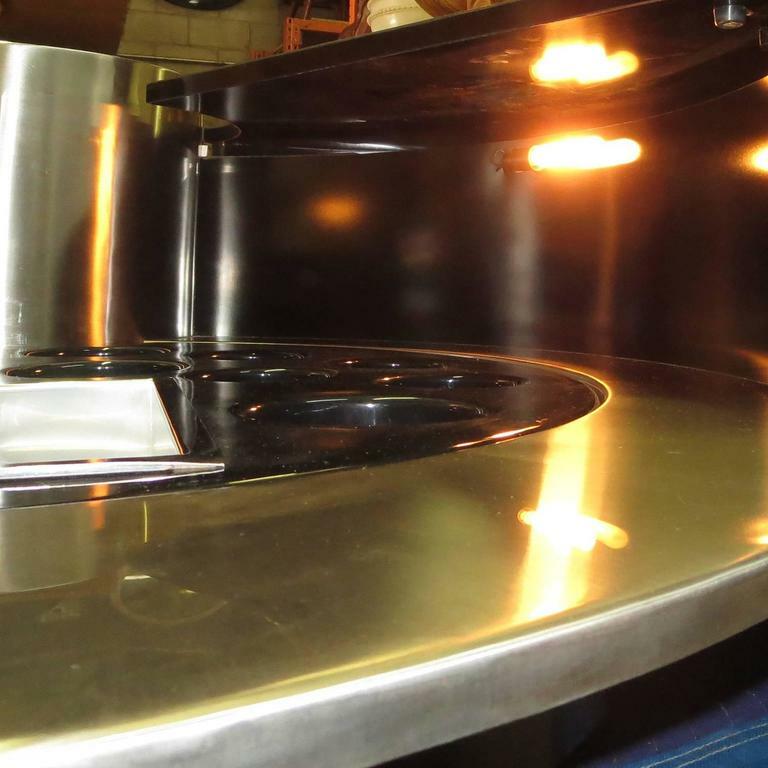 Details: Chrome tray and corners. Alveo model. Producer: Mario Sabot. 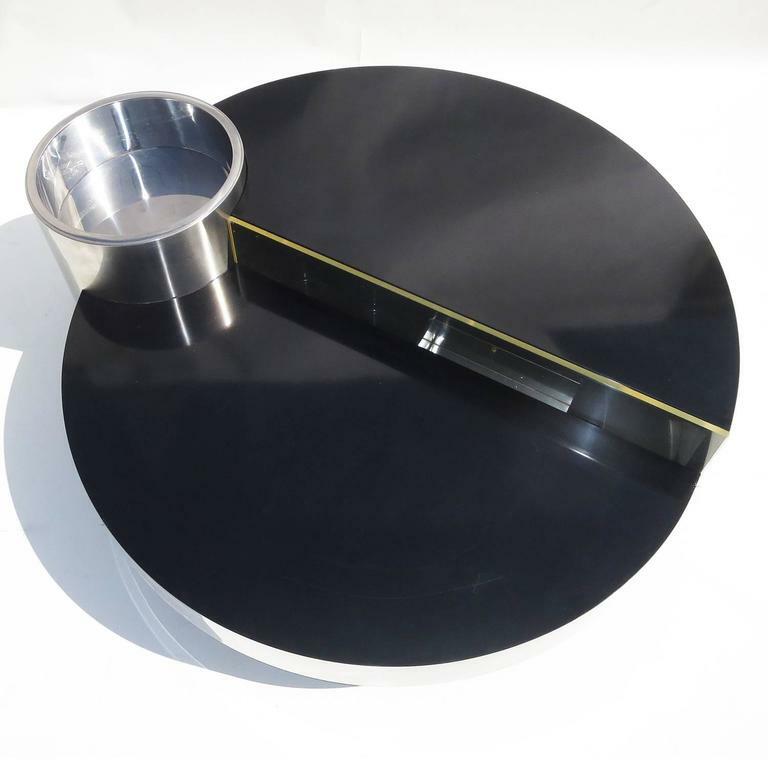 Willy Rizzo 1970s bar table with a floating design and an chrome ice bucket in the centre of the table. That part can be used for any other storage purpose. The tabletop mirrors are 4. 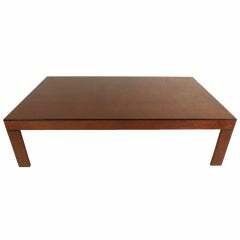 Willy Rizzo travertine coffee table, 1970s. 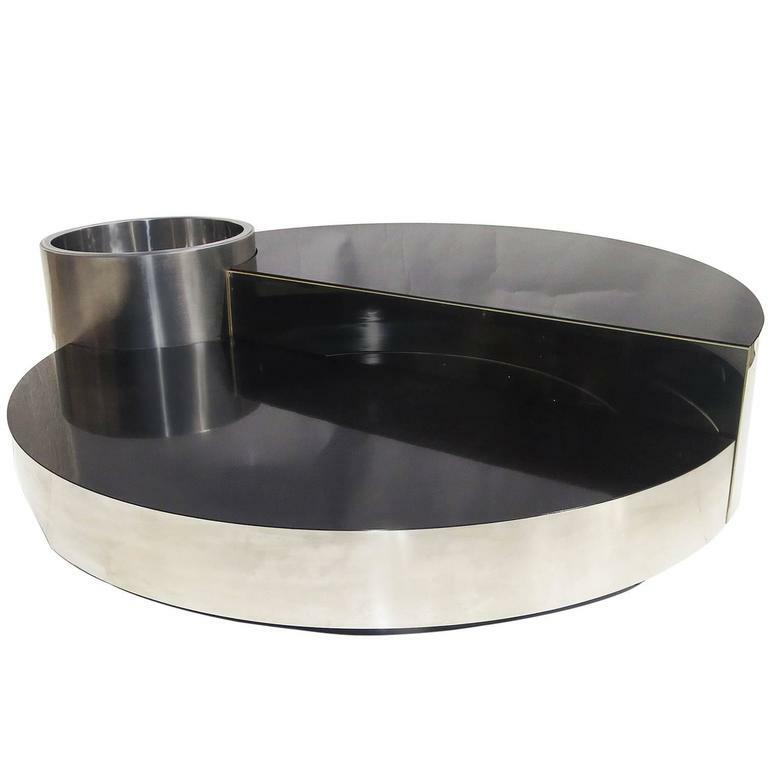 Extraordinary large black formica coffee table with center bar compartment, and modern chrome detailing. Italy, 1970s.